Thank you for contacting Water Gardens about a fundraiser, donation or in-kind support for your group. Water Gardens believes in supporting groups that support the Water Gardens. It is one of our ways of saying thanks to those who keep us in business. This letter is to help you have a good experience with us. If you have any questions, please call and we will walk you through it in person. Water Gardens supports non-profit (501c3) groups whose members are patrons of the Water Gardens. In such cases, the group and Water Gardens will select a Tuesday, Wednesday or Thursday during the school year for the fundraiser. The non-profit group will do all the organizing, marketing and advertising in the weeks leading up to the fundraiser away from the theaters. The customer may come to any movie at any time during that particular day and notify us they are coming for that fundraiser. There is to be “NO RECRUITING” at the theaters. The Water Gardens will donate $1.00 for each ticket sold as a result of the non-profits’ work. The non-profit will provide a 501(c)3 document along with a donation receipt to the Water Gardens to help defray some of the theater’s costs. Fundraisers are held during the school year (not during the summer). The non-profit’s members benefit by supporting their organization while enjoying a movie for the same price they would otherwise pay. The non-profit group benefits by earning money toward their specific tangible worthy goal. The Water Gardens benefits by filling additional seats on our slower weekdays. NOTE: The most successful fundraisers are the groups that organize market and advertise away from the theater in advance of their event. The least successful fundraisers are the ones that stand at the theater doors during the event and try to enlist our customers who not members of the group. We usually warn these groups to stop or we ask them to leave as they have broken the rules of our agreement and defeat the purpose of “working” toward a goal. Water Gardens is not inclined to support out-of-town groups or individual people where there is no demonstrable benefit to our patrons or the theaters. We limit the number of fundraisers to “one” per group per school year. We are selective in the number and kind of fundraisers we will approve. 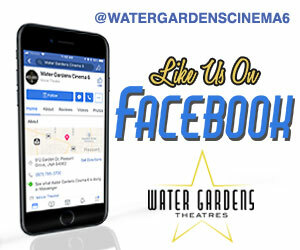 On occasion, the Water Gardens will choose to donate or discount gift-certificates or concessions to support a local non-profit’s activity away from the theater. Common examples may include; teacher appreciation awards, PTA family night, church youth special events. 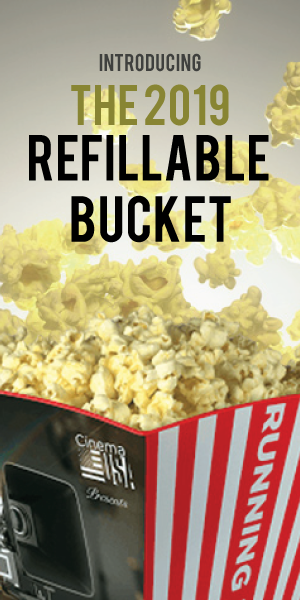 If the hard costs to the theater are minimal and the group has a worthy event, we may donate the items for free. If the hard costs to the theater are substantial, we may discount what the group pays in order to make it a win-win. In order to sustain long-term financial health and continue to provide valuable entertainment services to the community, Water Gardens maintains the right to decide who, what, when, where, why and how often it supports fundraisers, donations, and groups.